TorGuard has been in service since 2012, and have done a good job of building out a performing network that has proven to be consistent and dependable. On first glance, many believe their name refers to the Tor network, but TorGuard is actually short for Torrent Guard. The service focuses on providing VPN and Proxy servers for the purpose of sharing and downloading torrents, but can just as well be utilized for any other imaginable use beyond seeding and P2P applications. The provider offers above average security features, including DPI Firewall bypassing for countries likes China or Iran. TorGuard doesn’t beat around the bush about your privacy. There are no logs, no time stamps, not a single trace according to their service policy. Based out of Nevis, West Indies, they make an ideal choice for users looking for an off-shore provider, but it should be noted that TorGuard’s headquarters are located in the US. TorGuard’s plans can be a little confusing on first glance, but they have made an effort to reduce the amount of options and streamlined the process for an easier selection experience. You have both anonymous consumer VPN and business VPN plans available. The business offerings are good for users who require 10 to 20 simultaneous connections or more. Regular plans allow up to 5 simultaneous devices to use a single account, but you can add an unlimited amount of users at the cost of just $1 per month. This is great for adding one or two extra devices without having to purchase another plan. Additionally to their VPN service, they also offer anonymous Proxy only at lower cost. The proxy service is good for both torrenting and unblocking websites, although often reported to not be as effective as a VPN. It’s important to note that proxies only help mask your IP and location, but don’t fully encrypt your web traffic. Other than their 2000+ proxy IPs available in 50+ countries, TorGuard provides SOCKS5 + HTTP/SSL encrypted proxies to better secure users. These anonymous proxy servers are arguably more than sufficient to mask traffic from your ISP while keeping your bandwidth speeds intact. The service is available in 8 countries and provides a list of about 200 proxy servers to connect to. Some users such as torrent seeders may want to have both VPN and Proxy services. Signing up for both provides a considerable Bundled plan discount. Finally, TorGuard also offers both free and paid encrypted email services. If we zone in on the Anonymous VPN plans, their offering is competitive and in line with most other services available. On all their plans and services, they offer monthly, quarterly, bi-annually, or yearly price points. As you would come to expect, the longer the subscription period, the lower the average monthly cost is. Semi-annual and yearly plans come out to being the same price, allowing you to signup for a shorter period of time without feeling like you’re paying more. Monthly: $9.99 USD per month. Quarterly: 6.66 per month – Total $19.99 USD. Semi Annual: $4.99 per month – Total $29.99 USD. Yearly: $4.99 per month – Total $59.99 USD. They once had a 30-day money back guarantee, but this has now been reduced to only 7 days to better deal with abuse on the network. They accept over 80 payment methods to encompass everything from standard options to gift cards, bitcoins, and alt coins. TorGuard did a good job of simplifying their plans, and unifying all features together. Additionally, as of 2017, any past hiccups or concerns have been properly remediated and patched. They have proven to be reliable and trustworthy to their users. 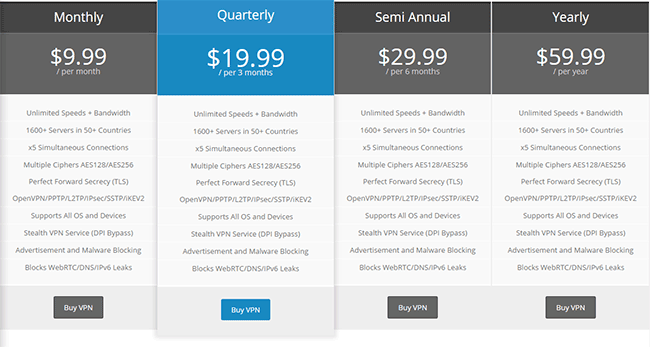 Overall, the service offers a variety of features that meet the needs of VPN users of all sorts. TorGuard provides software clients on all popular platforms: Windows, Mac, Linux, iOS, and Android. The interface is pleasingly designed, graphically rich and easy to use. Simply select a server from the drop-down menu and off you go. A kill switch is available to automatically stop all web traffic in case the VPN connection drops. The service also actively blocks ads and malware that might be detected on websites. Right from the get-go, the service provides an all round protection for online browsing. Users can maximize their protection by utilizing the advanced settings available with TorGuard’s client. A standard kill switch option is included but users may also add individual applications to the App kill list, which automatically terminates them in case the VPN connection drops. Stealth DPI (Deep Packet Inspection) is offered to avoid detection in countries such as China, Iran, Syria, or the United Arab Emirates. This allows for bypassing government firewalls that otherwise block VPN services from working. 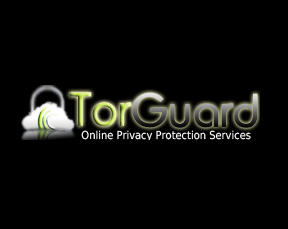 As mentioned, TorGuard’s name refers to Bittorrents, and is most certainly P2P friendly. Perfect for both seeding and downloading torrents, as well as streaming content such as Popcorn Time or Netflix. Complete IP and DNS leak protection is put in place to ensure that you remain secure at all times. With over 1600 servers in some 50 countries, it also caters to users on a global scale. The Anonymous VPN service includes SmartDNS for your TV or game console, and a free Viscosity license which usually costs $9 on its own. If you never heard of Viscosity, it essentially is an advanced, but simple to use OpenVPN client compatible on Mac and Windows. It offers visual traffic monitoring to proper DNS and system protection on both Windows and Mac platforms. Advanced users can apply scripts for unlimited customization, and VPN connections can be tweaked in many more ways than traditional clients allow. Beginners should skip this client. For the Proxy plans, both standard and encrypted SOCK5 proxy servers are offered. Just like a VPN, proxies can be used to hide your traffic from your ISP, unblock geographically restricted content, and safely download or seed torrents. The Anonymous Proxy plan can be bundled with the VPN service for a big cost discount. Some users wish to have layered security when sharing torrents for example. 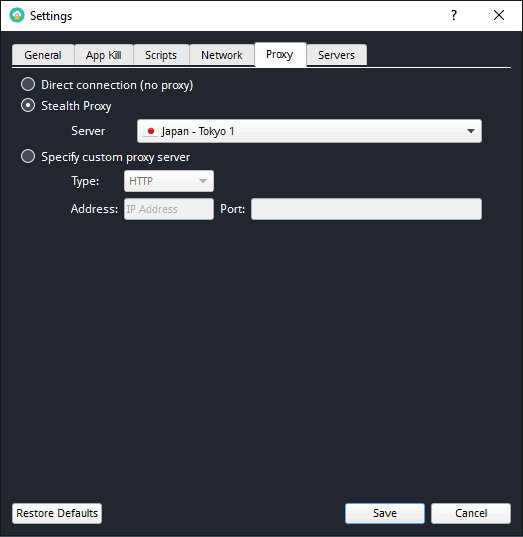 In this case, it’s possible to use the proxy in conjunction with the VPN, but the VPN server must be used in a SOCKS5 enabled country as well in order to function properly. Finally, TorGuard also offers anonymous email and nowadays, we know how important email security can be for both individuals and businesses. Using Secure G/PGP Encryption, MITM protection and offshore email storage, TorGuard seems to have a dependable end-to-end encrypted email service. Complete mobile support including calendar features make it an adaptable replacement to gmail. Free service is offered with a limit of 10megs on your inbox. As we mentioned, there are no logs. Even under proper court order or DMCA takedowns, there is no information provided. TorGuard protects itself from abuse by server basis without needing to know which one user is perpetrating the activity. Using firewall rules, it can quickly stop spam or respond to any DMCA take down request by simply blocking the source. This effectively leaves legitimate users secure and private, and allows TorGuard to quickly respond to take-down notices in 24 hours or less. 128-256-bit AES encryption matched with Perfect Forward Secrecy (TLS) handshakes provide a high standard level of security. As mentioned in the features section, DPI Bypass, or Deep Packet Inspection protection is available. It is called ‘Stealth’ and allows users to utilize a VPN even where local authorities attempt to block all encrypted tunnels, such as China, UAE, Iran and Syria. Additional to blocking ads, live malware protection is also always on with VPN plans. Finally, the app also features built in leak protection against WebRTC, DNS, and IPv6 leaks. Speed is important for any peer-2-peer enthusiast and our test results did not disappoint. As far as BitTorrent goes, the unlimited speed delivers. After revisiting the service this year, I spent some time testing various locations with torrents and just regular content streaming. TorGuard did a good job of regularly updating their server count, and I had no trouble finding fast servers, but they did lack any detailed feedback on server response times, loads, or bandwidth capabilities. With now more than 50 available countries, the service is backed by more than 1600 servers and continuously growing. Speed tests fair with the best, regularly maxing out my bandwidth on download and upload. For the most part, a degradation of 15-20% on the farthest locations could be observed, but results did fluctuate on some countries, cutting speeds as low as 30-40%. Ping times remained excellent for the most part, making TorGuard suitable for gaming or hosting scenarios, and I did not suffer from any disconnections while testing. TorGuard has improved on customer service. I remember having trouble reaching them back in 2014. This time around, I was able to get email responses within 4-6 hours, and the live chat was always available. Support agents are friendly, and do their best to help you get setup or answer any questions you may have. Although a big jump from when I last had to deal with them, I did not run into any serious snags that would require support. Their online forum has also been kept active and contains hundreds of previously posted topics that might answer existing questions. Or you can always start a new thread for advanced setups or issues that might require expert help. I’m glad to see their split VPN plans gone for good. You shouldn’t need a special service for torrents, and now everything is combined. Business plans are competitive and provide a 24/7 dedicated support agent so you never have to deal with more than one or two people. I also like the fact that a free Viscosity OpenVPN license is included. More importantly, the right security features are put in place. 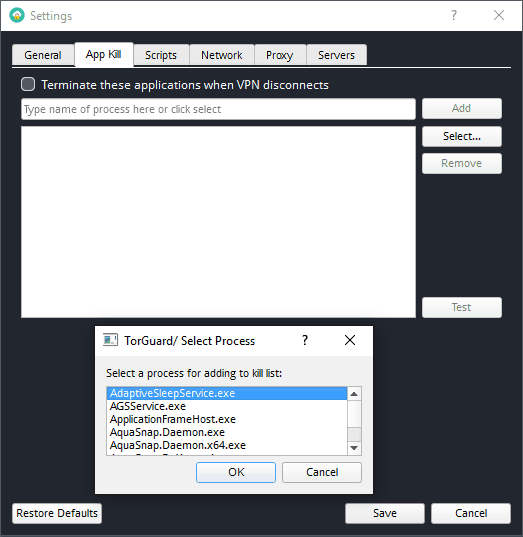 With Stealth VPN DPI bypass protection, full DNS and IP leak protection, as well as malware and spam blocks, TorGuard offers a well rounded service. Price is competitive when pre-paid for half of full year terms. Each plan allows up to 5 devices to connect at once, but additional users can be added at the cost of $1. Good price on semi-annual, annual, and bundled Proxy plans. Various plans and services can be a bit confusing at first. High cost on monthly plans. As a relatively new VPN user, I would say that initially I was more impressed with some of the other VPN providers out there but realised that was superficial. The clients looked great (professional) but the performance didn’t match the expectations. I reluctantly switched to Torguard and found a feature-rich client that has more options/configurations that I know what to do with! It has encouraged me to learn more about VPNs in general so that I can make full use of the service provided and I have to commend the Torguard support team because each time I’ve had a dumb question, they have responded within minutes and in a courteous, professional manner. Can’t recommend enough and even though I didn’t make use of it, I was assured that there is a 7 day refund policy if you, for whatever reason, want out. I know, because I asked for this assurance since I wasn’t sure if Torguard was right for me and well, I wasn’t so knowledgeable about VPNs in general. 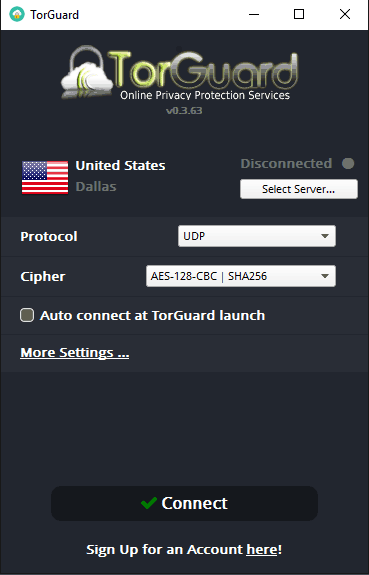 Been using TorGuard VPN service for over 2 years now, really outstanding service. Never had any issues always worked smoothly on my win,mac and android devices, speedy service and really one of the few services now a day that is still able to unlock most geo blocked services. highly Recommend it. Been with Torguard for around 4 months now and nevr had any problems, i must say there software is one of the best, updated regularly, never disocnnects, iOS app supports on-demand, many protocols including openconnect, SSTP and AnyConnect – servers are fast – torguard have always been very professional and very “quick” at responding to my queries so i would take the comment by Zed with a “pinch of salt”. Definitely gets my recommendation. and i have tried them all. I used them for bit torrent. I just received a takedown notice. Apparently, they work with the DMCA. The same thing happened to me. BUT it was because I did NOT have TorGuard configured properly. Maybe that’s what happened to you. I’ve been using them for a couple of year afters and I am very happy with the service. I highly recommend TorGuard. Been using TorGuard for about 4 months now. I haven’t had one problem from them. I have their VPN + proxy combo for like $11-12 a month. (I like having the proxy and secure DNS as a second layer of protection just in case…but may switch down to just VPN and getting the yearly deal for like $60/year) Great speeds (torrenting sometimes as high as 5 Mb/s but averaging about 1-2 Mb/s which is decent since I’m using BOTH the proxy and VPN) and a huge variety of secure servers, some are optimized for torrenting and some are optimized for extreme stealth. 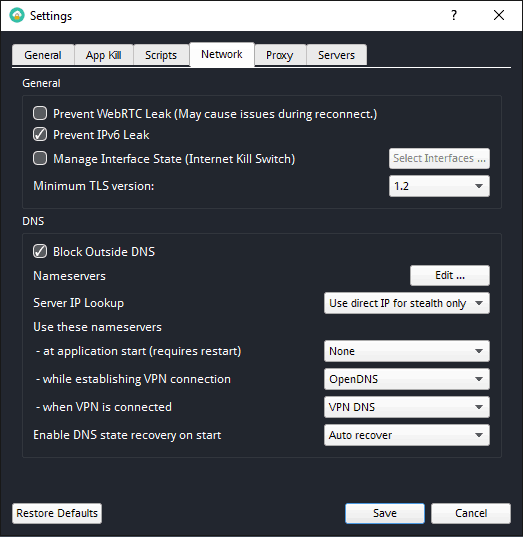 Plus TG has leak protection and a killswitch feature in case your internet disconnects to avoid torrenting without the VPN once your internet reconnects (I think PIA and a few other VPNs may also have this feature). These articles on this site don’t highly stress how important those features are for VPNs, and TorGuard is one of the few that has them. I think this article’s segment on their customer service is kinda harsh. I’ve had nothing but positive experiences from the customer service staff. Literally every time you go to their website, a customer service box pops up and if you type in it, they actually respond within a minute. While even I admit the website can be kinda confusing, the staff answered all of my questions about the different services and features before I purchased it, and they did a great job helping me set up everything that was not intuitive after I bought it; they responded to my customer service emails within 30 min, even at 3 AM EST which is impressive. The website may not be intuitive, but the actual VPN program is. Very simple to use, just pick a server and you’re good. You can also set it up so that it logs you into a specific server automatically when you open the program. Also, some of the servers have a Bittorrent symbol next to them indicating that it is a Bittorrent-optimized server and is good for speed; some of them also have a stealth symbol indicating it is good for…you guessed it…stealth (pretty decent for those who have to deal with the Great China Firewall…). I use it for my home PC, my laptop, my girlfriend’s laptop, my iPad, and my iPhone. My general feel is that they actually really care about your privacy and making sure that you are secure wherever you use internet or who you internet with (I have service with one of the big 5 ISPs; no problems so far, and I have really been testing my limits). Overall, I recommend TorGuard for anyone who is an avid torrent user. I agree with John Brad Brian and ant. I think if you look at the dates on the comments here, at some point TG did have some problem with the chat help. I for one have only used it, and I always get a response. It isn’t immediate, it’s like anything, depending on traffic and time of day, etc. I should have been using this years ago! Never had an issues with these guys – big thanks to James for getting me setup. Would certainly recommend for both speed and support. Sold to me afer stating my netgear rx8000 router was compatible. Had to go and get another router and a week later still have no service. No help with getting it setup. Not much good when it can’t be used after spending $300 on another router!! No refund either even though product couldn’t be used. Rubbish customer service. Rubbish instructions to follow to set up. I changed to ipvanish and had it working in 5 minutes. Several times, I was unable to connect. Support tickets have been unanswered. Money-back guarantee is a fraud. I cancelled the service 6 weeks ago, after just one day trial, and haven’t received any reimbursement yet. Never had a problem with these guys, speed is good and support is very responsive. Not sure about the last comment but i have never had any issues, i was double charged by mistake for 2 months and they refunded me right away.